The Cleveland Select Pear Tree is ideal for front yards because it is perfectly uniform and looks like it's been pruned daily. The attractive appearance of the tree adds curb appeal to your home. The flawless look of the Cleveland pear tree grows symmetrical--perfectly oval--and the leaves fill in all empty spaces. 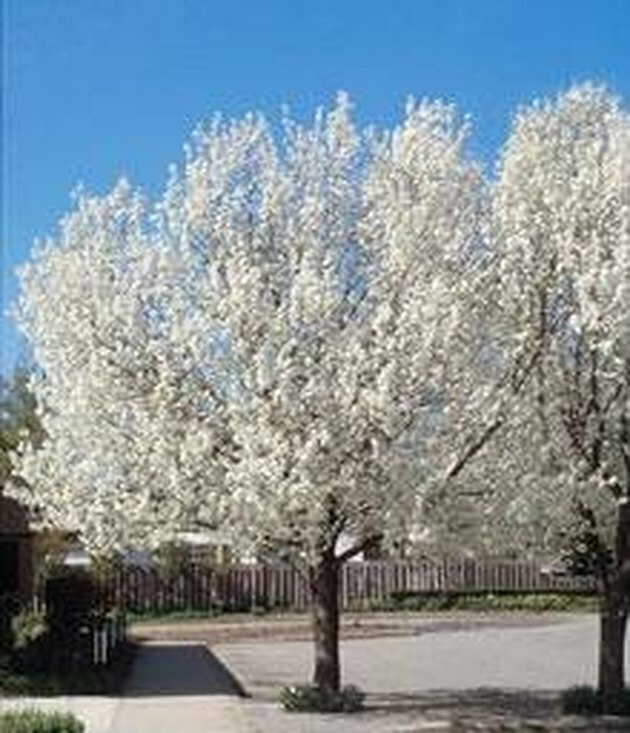 Every spring the Cleveland pear tree blooms lots of long-lasting white flowers. Proper maintenance of the tree is important for healthy growth. Trim your Cleveland pear tree in the fall. Since the tree grows in such a beautiful oval shape, many professionals opt to let the tree develop naturally. Prune your Cleveland pear tree for a central leader. If there is more than one leader, cut it off. More than one leader results in weakened forked leaders. Take off limbs in an area where many limbs have built up. It doesn't happen very often in Cleveland pears, but if you allow a wood build up, the branch base might be too weak to support the weight. Remove the top 10 feet of the Cleveland pear only. Never take off more than that at one time. If the tree grows taller than you like, it's okay to top it off carefully, protecting the shape. Thin the top portion of the tree selectively choosing the right branches in a staggered manner. 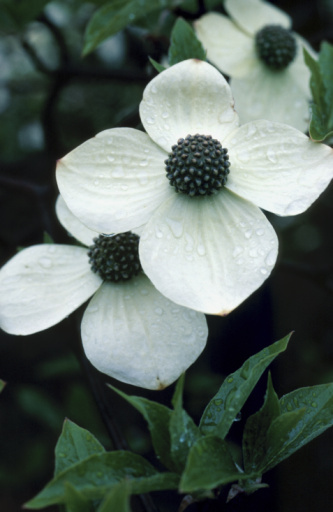 Trim off the excess growth across the top of the tree in the same oval shape of the tree.